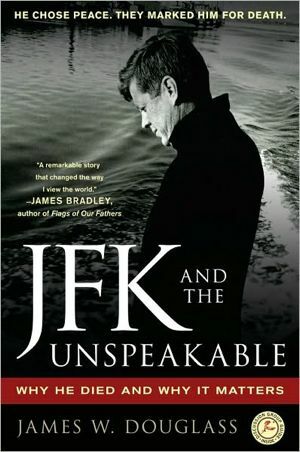 Author JamesDouglass, in JFK and the Unspeakable, is not casting John Kennedy for sainthood but he is telling the story as holy tragedy, in which JFK with enormous courage accepted a miracle knowing that the price might be his life. James Douglass is laying out a version of John F. Kennedy’s assassination that is sickening, in every way outrageous, but not exactly unfamiliar. In JFK and the Unspeakable Douglass makes it the story a plot inside the national security apparatus and the Central Intelligence Agency to kill the president and stop his turn toward peace, toward ending the Cold War with the Soviet Union and exiting the war in Vietnam. The very thought is appalling and should be unbelievable — of an anti-democratic insurrection that could go unacknowledged and unpunished in the United States for 50 years. But James Douglass is not alone in his suspicion. Robert F. Kennedy Jr., nephew of the president and son of his Attorney General, has called the Douglass version the best book on the subject. In a remarkably under-noticed public conversation in Dallas last January — hosted by Charlie Rose of PBS, but not broadcast — RFK Jr. recounted his father’s view that the Warren Commmission inquiry on JFK’s assassination “was a shoddy piece of craftsmanship.” Further, he said, the Kennedy family long ago rejected the official finding that Lee Harvey Oswald was the “lone assassin.” His father was “fairly convinced,” said RFK Jr., that others were involved. “Organized crime, Cubans?” Charlie Rose asked. “Or rogue CIA,” RFK Jr. answered. In this second half of our long conversation James Douglass is recounting disparate voices — of a Trappist monk, a dissident film-maker, and JFK’s White House counsellor — that contributed to his reconstruction of the narrative. Douglass is building obviously on Oliver Stone’s film “JFK” (1991), both celebrated and pilloried, which made it the story, in effect, of a military coup. Is it fair, I ask Douglass, to think of his book as “Oliver Stone with Footnotes”? Not really, Douglass says. He is indebted to Stone for endorsing his work, but mainly for the film that prompted Congress to liberate a flood of evidence that Oliver Stone hadn’t seen when he made his movie. Douglass seems to me over-correct or perhaps coy in protecting the confidence of the late Ted Sorensen, JFK’s alter-ego and wordsmith. 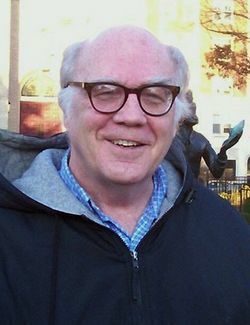 Six months before Sorensen died three years ago, he initiated contacts with Douglass, “spoke supportively” of his book, and shared views of the assassination story that he did not want to voice in public. “Why not?” I ask. 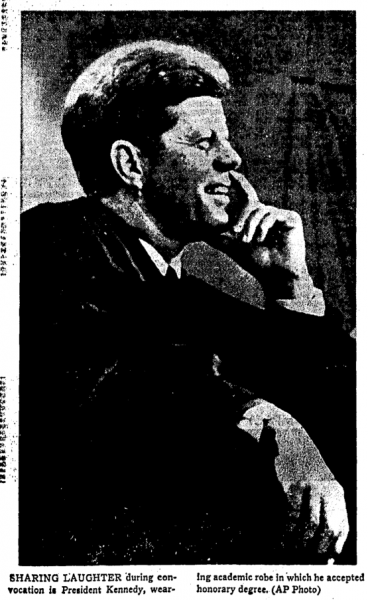 Because, Douglass says, the speechwriter credited with the noblest lines of Kennedy’s “peace speech” at American University in 1963, wanted to focus on Kennedy’s legacy, as if his murder five months later were not the centerpiece of our awful inheritance. We are still confounded by the silences in this saga. Strange to say, the most memorable witness to the mystery of JFK in Jim Douglass’s telling is the monk and venerated author Thomas Merton, observing Kennedy from afar a year before the president was killed. In the remoteness of the Trappist Abbey of Gethsemani in Kentucky, Thomas Merton, two years older than the Catholic president, was watching Kennedy carefully and not without sympathy: “… he is, without doubt, in a position sometimes so impossible as to be absurd,” Merton wrote in 1962. But facing the “suicidal moral evil” of nuclear war, Merton measured Kennedy without great confidence either. I think he cannot fully measure up to the magnitude of his task and lacks creative imagination and the deeper kind of sensivity that is needed. Too much the Time and Life mentality, than which I can imagine nothing further, in reality, from, say, Lincoln. What is needed is really not shrewdness or craft, but what politicians don’t have: depth, humanity and a certain totality of self forgetfulness and compassion, not just for individuals but for man as a whole: a deeper kind of dedication. Maybe Kennedy will break through into that someday by miracle. But such people are before long marked out for assassination. Thomas Merton in a letter to his friend W. H. Ferry, quoted by James Douglass in JFK and the Unspeakable, p. 11. Merton’s prophecy provides the framework of the Douglass narrative which I read and reread, and find inconclusive but compelling. Douglass is not casting John Kennedy for sainthood but he is telling the story as holy tragedy, in which JFK with enormous courage accepted a miracle knowing that the price might be his life. 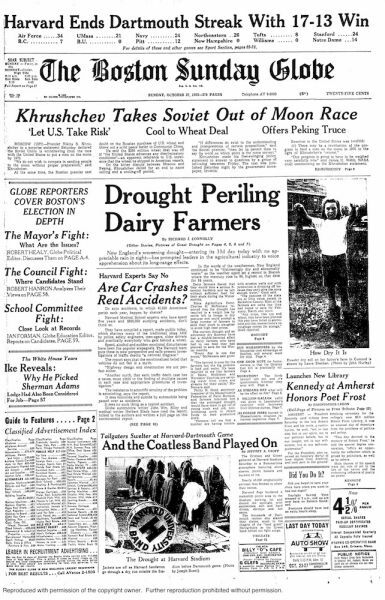 Is there an under-50 reader or listener, I wonder, who feels with my generation that we’ve all been orphaned by our enforced ignorance around the crash of John Kennedy’s vision?